Jesus said, “…I have come that they may have life, and have it to the full” (John 10:10, NIV). Have you discovered the joy and peace of personally accepting Jesus’s invitation to life? Perhaps you have believed in the existence of God and His Son and have tried to live a good life, but have never consciously invited Him to be your Savior and Lord. No matter who you are or what you have done, at this very moment, you too can make the decision of a lifetime. Right now Jesus is knocking at the door of your heart. He offers you the same wonderful life which millions through the centuries have received with life-changing results. He has already paid the penalty for your sin. He is asking you, in the quiet of your heart, to put your trust in Him. Here are four spiritual points that will help you discover how to know God personally and experience the full life He promises. We have all sinned. “For all have sinned and fall short of the glory of God” (Romans 3:23, NASV). We were all created to have a personal relationship with God, because we all choose to go our own independent way, our relationship with God was broken. The fact that we are selfish and self-centered is obvious because we either rebel against God or don’t really care about Him. This is evidence of what the Bible calls “sin.” We are cut off from God. “The wages of sin is death…” [spiritual separation from God] (Romans 6:23). 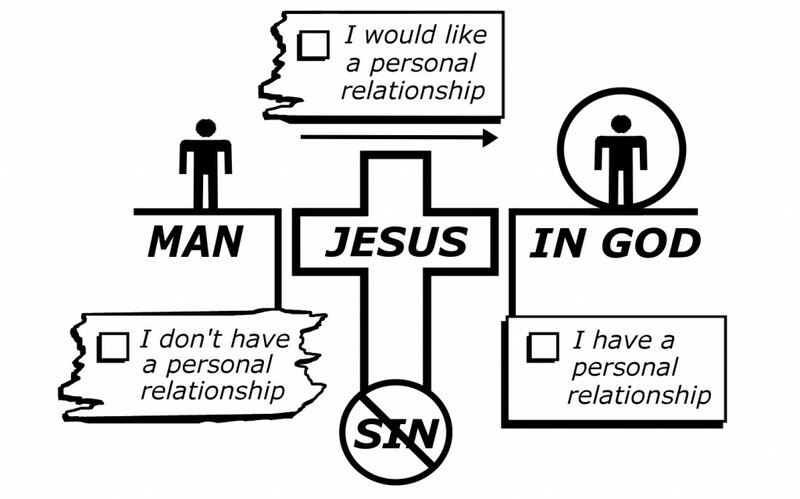 God is holy (pure and sinless) and we are sinful. A great gap cuts us off from God because He cannot tolerate sin. People often try to find a full and meaningful life through their own efforts. They try to live a good life or be religious. But the Bible clearly teaches that there is only one way to bridge this gap. If you have just prayed this prayer for the first time or have further questions, please contact Pastor Ben Walls via www.thenaz.org web site.